Today’s “It’s Showtime” event at Apple’s spaceship campus was purely about consumption. News. Gaming. And the streaming of original content from a star studded cavalcade of content creators. And it’s coming this Fall. 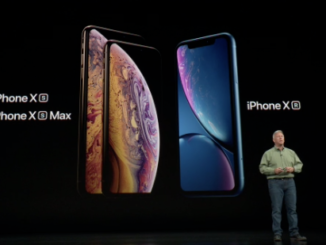 I’m going to just gloss over the first two services that Apple announced today. 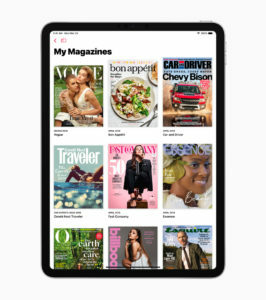 The first was Apple News+, which will give subscribers access to over 300 digital news publications and magazines for $9.99 a month. Publications include current and past issues and individual articles from magazines such as Better Homes & Gardens, Bon Appétit, Entertainment Weekly, ESPN The Magazine, Esquire, National Geographic, Parents, People, Sports Illustrated, TIME, The Wall Street Journal, Los Angeles Times and Toronto Star, to name a few. Available beginning today. 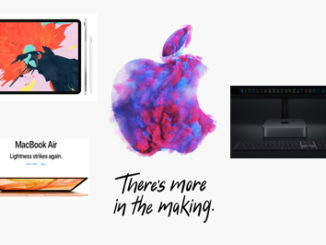 Next comes Apple Arcade, a online gaming service that has over 100 games for gaming legends Hironobu Sakaguchi, Ken Wong, Will Wright and dozens more. The curated, all you can eat monthly service will enable gamers to try new games and will feature no pay for play, in-app purchases, or ads. Subscribers can play across iOS, macOS and tvOS devices, and jump between platforms, picking up where they left off in a game. New games will be added to the service on a regular basis. 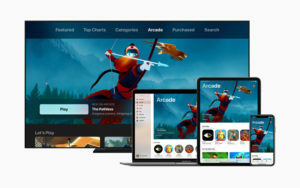 No word on pricing, but Apple Arcade will launch in fall 2019 in more than 150 countries. 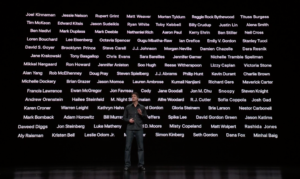 Complete list of content creators for Apple TV+. Then the big one. 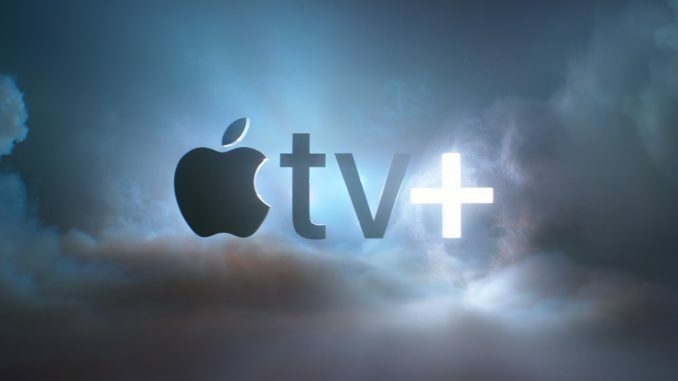 Apple’s new original content streaming service Apple TV+. 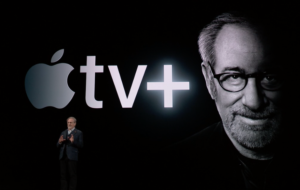 Dispelling the rumors of a delay until 2020, Apple TV+ will launch in the Fall of 2019 with content from iconic Hollywood A Listers including Steven Spielberg, J.J. Abrams, Damien Chazelle, M. Night Shymalan, Ron Howard, Jennifer Anniston and Reese Witherspoon, Jason Momoa, and Oprah, to name a few. Steven Spielberg is resurrecting Amazing Stories, an anthology series which originally broadcast on NBC in the late 80s, early 90s. It’ll be based on the science fiction magazine that Spielberg grew up reading, and made him want to tell stories. Speaking of anthology series, there will also be a series called “Little America,” that will tell stories of immigrants seeking the American dream in their everyday lives. Jennifer Anniston returns to “television” costarring with Reese Witherspoon and Steve Carrell in The Morning Show, a series that takes a behind the scenes look at the high stakes world of producing a network TV Morning news show. I’m thinking Network meets The Office. Jason Momoa and Alfre Woodard will star in a apocalyptic sci-fi drama called SEE, about Earth of the future that experiencing a worldwide infection that renders everyone blind, and how in the future, everyone will think being able to see was a myth that just gets told to children. J.J. Abrams takes a break from Star Wars IX, with a very interesting project starring Sara Bareilles. Little Voice will look at the life of a struggling singer/songwriter trying to find her voice as an artist, and a woman. 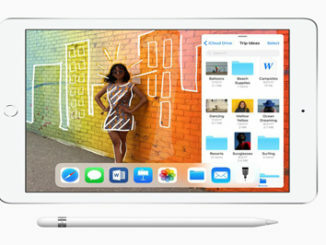 For the kids, Apple TV+ is also teaming up with Sesame Workshop for Helpsters, a preschool aged kids show that teaches kids how to write code in the hopes they’ll change the world. But the series I’m really looking forward to is For All Mankind, created by Ronald D. Moore. It’s an alternative “what if” story about how the Russians beat us to the Moon and in doing so, the Space Race never ended. Essentially the Man in the High Castle meets Apollo 13. Should be a fun one! 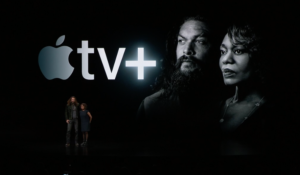 Apple TV+ will come this fall to all Apple Devices, including iOS and macOS, plus smart TVs Samsung, LG, Sony and Vizio. Streaming boxes from Roku and Amazon FireTV are also supported. No word on pricing. But one thing. Someone needs to tell Tim Cook that you can’t hashtag a “+” sign.